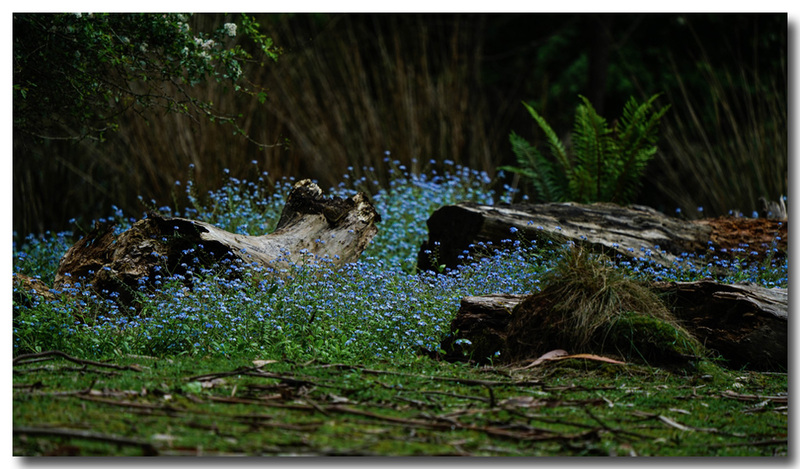 Forget me Knots among the logs. Nice. Ever thought of focusing on the second row of flowers so they stand out more against that dark background? I think for this shot I needed to keep most of the log in focus. To focus further back would blur most of the middle-ground and I wouldn't like the look of that. It would have been great to get a bit more 'lift' out of the flowers but they are so tiny and I brought the highlights up until they clipped. Thanks for your thoughts. Fair comment. I suppose my idea would have also brought the background into focus and that probably would not be desirable. Nice shot. The focus point and DOF work for me. Thank you all, here's another one I took from a different view point. The 1st shot is much better! The second shot has no anchor and the eye wonders aimlessly looking for something fall on and focus.